Today is Alien Day, the latest in a series of dubious holidays pushed by marketing departments. Unlike Back to the Future Day which has a very obvious temporal tie-in, the date for Alien Day comes from the planetoid LV-426, the in-fiction rock the Aliens were originally found on. Yeah, seems like a stringy connection to me, too. Another flimsy excuse to hype up a franchise long past its prime and sell some merch. I'd be more upset about it, but I'm having too good a time playing Aliens vs. Pinball to really work up a good indignant fuss. If you're familiar with Zen Studios and its licensed franchise tables, you know what to expect from Aliens vs. Pinball -- amazing fantasy tables packed to the gills with references, nods, and clips from the original properties. In this case, the pack is comprised of three separate tables drawing on different sources. There's a table based on the venerable action classic Aliens, the somewhat less venerable Alien vs. Predator, and the surprisingly greatAlien: Isolation. Each table reinforces its personality with sound and voice clips taken from the original sources. 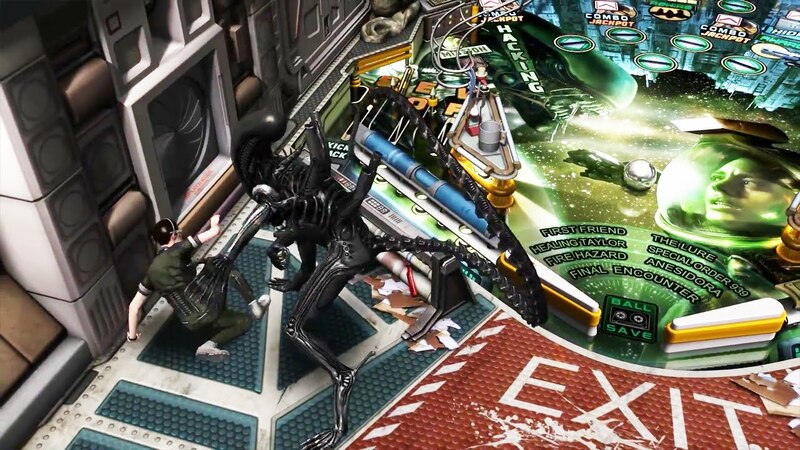 While many previous Zen Pinball tables has relied on sound-alikes or “close enough” takes, Xenomorph purists will be happy to know that Aliens vs. Pinball includes the real deal. Of course to me, this was only really impressive with the Aliens table sinceAlien: Isolation is too recent to be nostalgic for, and I couldn't give a crap about the artistic integrity of the Alien vs. Predator experience. And yes, of course, they got the “game over, man!” Bill Paxton sound bite for when you sink your last ball. If they didn't, the whole damn thing would be a wash.
For the most part, the tables look and feel like something that could actually exist in a smokey arcade hall in a sketchy area of town (as God intended pinball machines to be). They're lovingly detailed with lights, art, and the kind of hyper-compressed and yet still frustratingly vague info that makes pinball machines such a joy to look at. As always, the attention to detail is spot on and even silly things like the LED display feel 100% authentic. However, the fantasy nature does allow the tables a few extra flourishes a physical cabinet could never enjoy. In the Alien: Isolation table, the Alien freely stalks the top of the machine and will pounce across the playing field to tackle Amanda Ripley if you don't hit enough targets to distract it. The Predator will fire plasma rounds and hurl ninja stars across the table at a Xenomorph. While I personally lean towards authenticity in my fantasy pinball, these small touches straddle the line between the implausibly elaborate and the impossible well enough to not be too distracting. 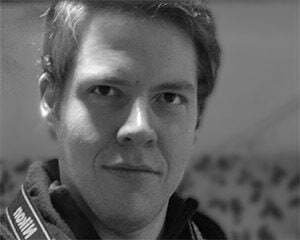 There are a few instances where the fantasy element is laid on a little too thick however. Complete enough goals in the Aliens table for example, and the game will suddenly switch from a pinball simulation to a weird, awkward 3D driving game where you try to steer an APC through a tunnel filled with wreckage. These sequences are few and far between (especially if you play like me) so they don't ruin the experience, but I would have just as soon Zen Studios didn't include them. The standard pinball action is more than compelling enough without jarring distractions to interrupt it. Each table is packed with plenty of goals and bonus missions for pinball wizards to complete. Aliens cleverly recreates the events of the film, focusing on exploring and making contact with the Aliens, finding Newt, fending off a horde of Aliens with a sentry gun (and hopefully a multi-ball bonus) and eventually confronting the queen. It's shockingly addicting and I found myself returning to the table, again and again, to try and get a little bit further. It was definitely my favorite table of the bunch. Alien vs. Predator similarly gates progress to completing goals. As mentioned earlier, hitting certain targets will power up the Predator to kick the crap out of the Aliens, but you can also get your own licks in with a clever trick shot to hit a mini-Alien tucked into a little nook near the top of the table (there's something joyful about killing one of the most terrifying monsters in cinema with a small silver ball). I also enjoyed the mini-puzzle segment with the prop-pyramid. Seems very much in spirit with the crazy, elaborate things late pinball machines were getting into when the market collapsed. Alien: Isolation is the most ambitious of the three tables, really trying to recreate the experience of the actual game. You need to keep an eye on your health and ammo levels, find new equipment, hide from the Alien in cabinets or through vents, and even perform stealth kills on tiny pop-up Working Joe targets. It's delightful. 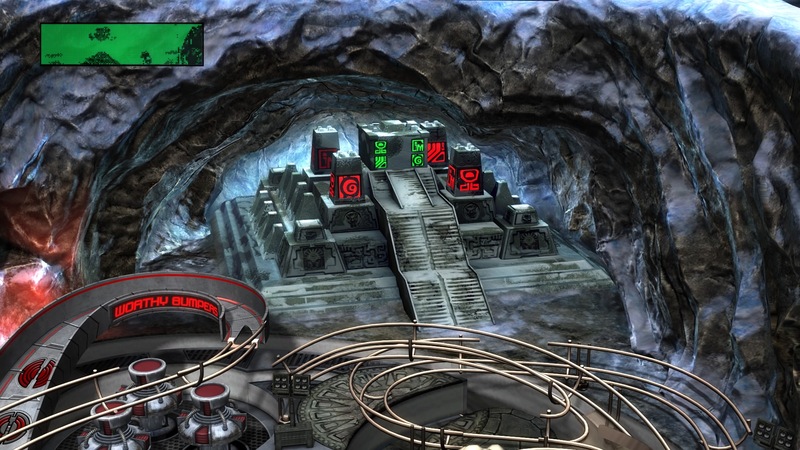 There is even a hacking mini-game that opens up a small screen in the middle of the playing field to frantically try and arrange glyphs with a pinball – the least efficient input device ever created. However, as much as I wanted to enjoy the Isolation table, one design decision consistently got in my way. Unlike the other tables which give you missions from the get-go, in Isolation, you need to hit a small computer terminal to activate them, and for the life of me I could not find a way to reliably hit the necessary target. This could just be me being bad, but activating a mission was a matter of luck for me. A shame since the few that I managed to play were charming, quirky, and challenging. I REALLY wanted to complete four missions and get the flamethrower upgrade, but alas, it was never in the cards.